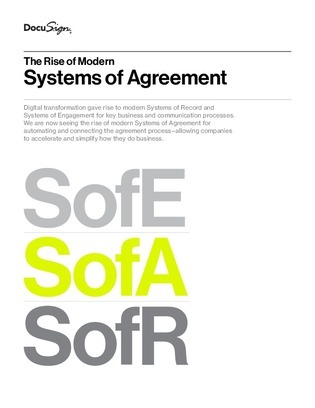 Every company has a System of Agreement (SofA)—it's the collective group of systems and processes needed for preparing, signing, acting on, and managing agreements—but most have yet to be modernized. As a result, businesses are unable to be competitive in an accelerated business world. They miss out on the benefits in cost reduction and customer satisfaction that a digital SofA provides.